Retro silver Christmas trees have become more and more popular every year as people try to replicate the look of the aluminum tree from the fifties and sixties. Because these aluminum trees can be difficult to find and can be expensive, tinsel trees serve as an alternate option to give you that same retro look without breaking the bank. 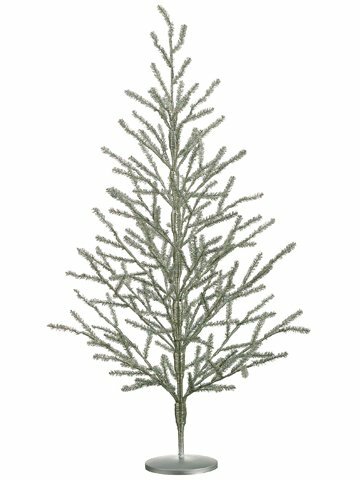 Many of the people I know use a green Christmas tree whether it is a real one or an artificial one. With that being said, I have never seen a white or silver tree that I did not love. You can see them every year when you drive around to look at houses for lights, there is always someone who has put their tree on display right in the window so that everyone can enjoy the view. 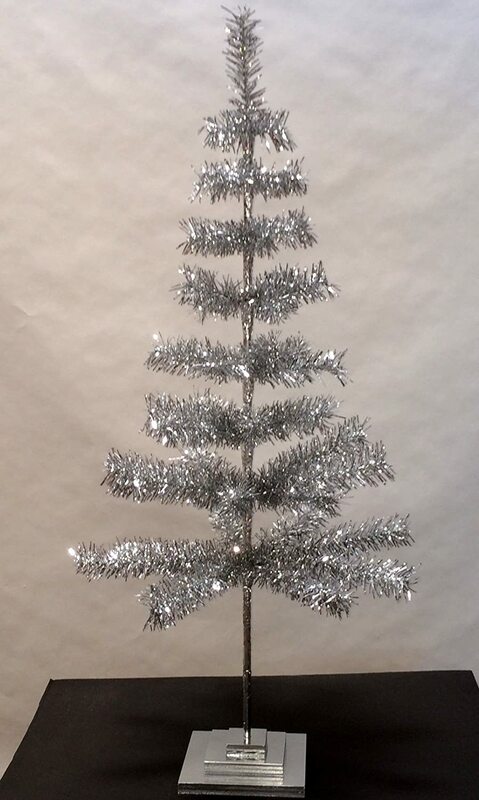 Whether you are looking for an actual aluminum tree or if you would like a smaller tinsel retro style tree, there is something for you. See more Silver tree options! When it came to looking for a good retro silver Christmas tree, I looked at appearance and rankings as well as what I think would look good in my own apartment. Even though only one of the trees is aluminum, the other two are still solid choices for anyone looking to get that retro tree vibe. The tinsel trees can be stunning and can reflect lights and ornaments in a very unique way. The options above are all different styles and heights so that hopefully it will fit in with your current living arrangements and decorating plans. The aluminum Christmas tree is a full size tree so if this will be your main tree then this might be the way to go. The other two are smaller and are perfect for people looking for an extra tree to help decorate around the house or want to take something special to the office. In my case, I think artificial tabletop Christmas trees are a solid idea for apartment living. This makes the tabletop tinsel tree right at the top of my list. If someone were to give this to me as a gift I already have the perfect place in mind for it; the counter-top leading out of my kitchen into the dining room. I could even add some small ornaments to it if I want to add a little color.